Reward your contacts for sharing your campaign on social media. To encourage this, include a call to action at the bottom of your email campaigns. Once a contact shares the campaign on social media, they get an email with the incentive offered. 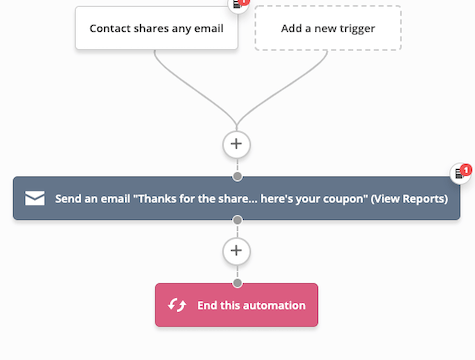 Rewarding them with a coupon will motivate them to share and increase purchase frequency.